2. Select the "Macintosh Installer" under the LTS tab. 4. Follow the installation instructions using the default settings to completion. Now, let's get git installed. 3. In the window that pops up, type in the word "git" and press enter. You will be prompted to install Command Line Developer Tools. Agree to this, even if you are on battery power. Let the install complete. We will write our programs' code in the editor Visual Studio Code (VSCode) this semester. 3. Double click the downloaded "VSCode-darwin-stable.zip" file. This extracts and creates an application named "Visual Studio Code" in your downloads folder. 4. 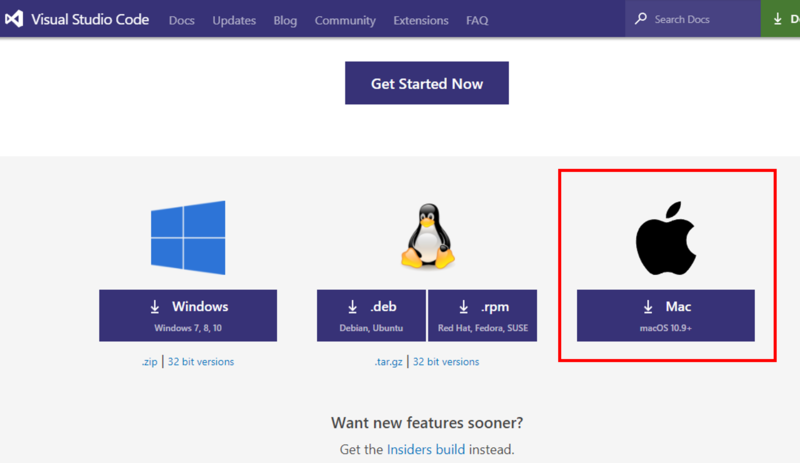 Drag the "Visual Studio Code" file from your Downloads folder to your Applications folder. You should see the Applications folder in the left-hand sidebar of your Finder window. Restart your computer once all software has been installed.